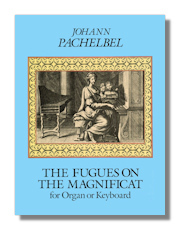 The Fugues on the Magnificat for Organ or Keyboard. Johann Pachelbel. Dover Publications. 1986. ISBN 0486250377 (paperback). Ninety-five short preludial fugues on the Magnificat. They do not require pedal & can be played on the piano or harpsichord as well as the organ. Organ Works. Johann Pachelbel, with Max Seiffert (Editor). Dover Publications. 1994. ISBN 0486278581 (paperback). Contains 72 chorale settings composed for the Lutheran ritual & 48 nonliturgical works, among them toccatas, fugues, preludes, ricercars & fantasias. Many of these works do not require pedal & can be played on any keyboard instrument. Caprices & Études for Solo Violin. Nicolò Paganini with Wieniawski. Dover Publications. 1994. ISBN 0486278832 (paperback). Contains Paganini's Caprices Op. 1 & Wieniawski's L'École Moderne Op. 10 & Études-Caprices Op. 18. Ten Four-Part Motets for the Church's Year. Giovanni Pierluigi Da Palestrina, Alec Harman. Oxford University Press. 1964. ISBN 0193533324 (paperback). Masses & Motets. Giovanni Pierluigi Da Palestrina. Dover Publications. 1993. ISBN 0486276317 (paperback). Pope Marcellus Mass. Giovanni Pierluigi Da Palestrina. W.W. Norton & Company. 1993. ISBN 0393092429 (paperback). Instrumental Music. Marvin E. Paymer (Editor). Pendragon Press. 1993. ISBN 0945193467 (hardcover). It is not surprising, considering Pergolesi's extraordinary posthumous fame and the demand for his music in the latter half of the eighteenth century, that most of the instrumental works published and performed at the time under his name were by other composers and written after his death. Actually, only 5 of 63 independent instrumental attributions are undoubtedly authentic, and they are presented here: Sinfonia a Violoncello Solo (F major); Sonata [harpsichord] (A major); Sonata per organo (F major); Sonata di Violino e Basso (G major); and Concerto di Violino Solo con piú Strumenti (B-flat major). The introduction lists all instrumental works, including spurious and doubtful ones, as well as adaptations. Stabat Mater in Full Score. Giovanni Battista Pergolesi, with Alfred Einstein (Editor). Dover Publications. 1997. ISBN 0486296334 (paperback). Scored for soprano, alto & strings. Text & English translation with original setting of medieval Latin poem. Complete Piano Sonatas. Serge Prokofieff. Dover Publications. 1990. ISBN 0486256898 (paperback). Shorter Piano Works. Serge Prokofieff. Dover Publications. 1992. ISBN 0486271668 (paperback). Comprehensive collection of 79 works, from 1906 to 1935, including Children's Music, Op. 62, Four Études, Op. 2; Fugitive Visions, Op. 22, Sarcasms, Op. 17, much more. Classical Symphony, Roméo & Juliet & Other Works in Original Transcription for Solo Piano. Serge Prokofieff, with Dmitry Feofanov (Editor). Dover Publications. 1995. ISBN 0486285510 (paperback). Musical highlights from eight of Prokofieff's best-known orchestral scores. Included are selections from the Classical Symphony, Love for Three Oranges, War & Peace, Roméo & Juliet, Cinderella, Prodigal Son, Lermontov & incidental music from Hamlet. La Bohème in Full Score. Giacomo Puccini. Dover Publications. 1987. ISBN 0486254771 (paperback). Opera score. Authoritative Italian edition. Madama Butterfly in Full Score. Giacomo Puccini. Dover Publications. 1990. ISBN 0486263452 (paperback). Opera Score, reprinted from complete G. Ricordi edition. Tosca in Full Score. Giacomo Puccini. Dover Publications. 1992. ISBN 048626937X (paperback). 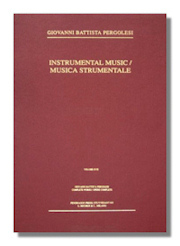 Opera score reprinted from G. Ricordi edition. Manon Lescaut in Full Score. Giacomo Puccini. Dover Publications. 1995. ISBN 0486285901 (paperback). Opera Score. Reprinted from an authoritative Italian edition. La Faniciulla Del West. Giacomo Puccini. Dover Publications. 1997. ISBN 0486297128 (paperback). Il Trittico in Full Score: "Il Tabarro"/"Suor Angelica"/"Gianni Schicci". Giacomo Puccini. Dover Publications. 1997. ISBN 0486293297 (paperback). Opera scores. Three one-act operas. Keyboard Works. Henry Purcell, with William Barclay Squire (Editor). Dover Publications. ISBN 0486263630 (paperback). Almost-complete collection of Purcell's keyboard compositions, including the eight suites, miscellaneous one-movement pieces, airs, trumpet tunes for harpsichord solo, grounds, preludes, dances, etc. Preface by William Barclay Squire. Dido & Aeneas Opera in Full Score. Henry Purcell, with Nat. Tate (libretto). Dover Publications. 1995. ISBN 0486287467 (paperback). Dido & Aeneas: An Opera (Norton Critical Score), Henry Purcell, Curtis Price. W.W. Norton & Company. 1986. ISBN 0393955281 (paperback).